Moisture and mold in the environment can be harmful to the family. What’s worse is that they cannot be easily seen and readily identified. Since the home is where the family rests, it is important to keep it clean all the time and to keep the temperature low in times of humid weather. The best way is through regular cleaning and the installation of a dehumidifier. There are particles everywhere that are invisible to the eye. To avoid build up, aside from the regular wiping of surfaces, a dehumidifier is useful in eliminating the bad elements in the air and inside the home to prevent the formation of mold. One thing to remember about commercial dehumidifiers is that they don’t work properly in the inappropriate temperature. A dehumidifier is mostly useful in a temperature below 65 degrees. What this means is that such temperature is conducive for the growth of molds and other organisms. Therefore, having a room thermometer is crucial when you have installed a dehumidifier. In the daytime, there is no worry about low temperature but it is at night that the dehumidifier becomes really useful. So, what are the best practices to increase your dehumidifier efficiency? Here are five tips! Before turning on your dehumidifier, examine the room. A simple question is “have you cleaned the room recently?” When it comes to any appliance in the house, we always want to take care of them for them to last longer. When using a dehumidifier, remember that it absorbs particles. It takes in the bad particles in the air so that mold does not have room to grow. Now, if it absorbs dust particles, the air filter will easily get dirty and the machine will deteriorate fast. so, it is best to start with a clean room already before your turn on your dehumidifier. When purchasing a dehumidifier, it is best to define your purchase purpose and check reviews online. You can also ask your friends if they use a dehumidifier and what brand works for them. Look out for the Energy Star label. When your item bears this sticker, you can be sure that the item you are purchasing is energy efficient. Always check reviews online before purchasing a certain brand. Some homeowners would think that once they have a dehumidifier, it will magically do its job in the home. What owners must know is that the purpose of a dehumidifier is to lower the humidity levels inside the home. Thus, it is only effective when used in a room temperature of below 65 degrees. Part of using it correctly is to keep it clean. Check the collection bucket and clean it regularly. Do not let the liquid stay in it for longer than a week or it could breed bacteria, even small organisms. Check the air filter and the indicator light when the collection bucket is full. Good maintenance ensures that your dehumidifier will last for a long time. To ensure that your dehumidifier operates at maximum efficiency, it’s best to use it in the most appropriate ways possible. Because outside air can affect the moisture level in your home you should always keep the doors and windows shut when the dehumidifier is on. It is also vital to set your dehumidifier in an area where it can render the best results. Your basement and bathroom are most likely to have higher moisture levels because of their damp or wet surfaces, which is why they are the ideal locations to place a dehumidifier in order to reduce excess moisture in the space. To make sure that your dehumidifier efficiency is okay, close the doors and windows of the room where your dehumidifier is operating. The temperature of the air coming from outside affects the performance of your dehumidifier. To avoid these factors from interfering in its operation, it is best to shut the doors and windows so that the dehumidifier can work only with the air inside the room and on a stable temperature. Now, once you get your dehumidifier, you don’t simply put it next to your TV or door. Place your dehumidifier where it is most central. Imagine it like a satellite dish where signals are being emitted. The dehumidifier must be placed away from curtains and walls so that it can perform at its optimum level and can absorb the most particles. 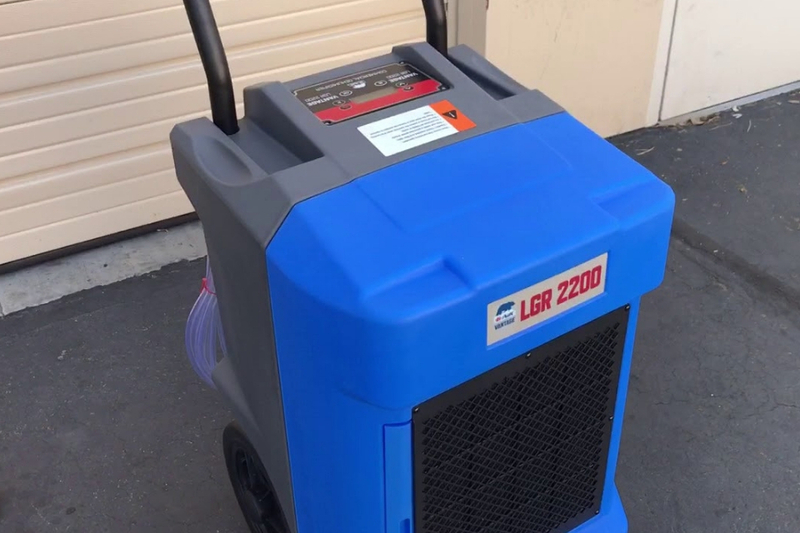 With these tips in mind, you can be sure that your dehumidifier will serve its purpose and that it will not be just among the machines that you simply bought and let it sit around the house. Taking care of your dehumidifier, emptying it at the right time, closing the doors and windows when your dehumidifier is operating and putting it in a good location will help you to increase dehumidifier efficiency!